One day early in March I sat down to admire the sunset because I thought it looked a tad different than usual. As the sunset deepened, it became clear that it was a special fiery sunset! It was good to see one again; the last time I had one (last summer), my town wasn’t very developed. I changed my path back to this mosaic one I made a while back! I looked back on old pictures and found myself missing the vibrant color these paths added to my town, and I thought they’d be fitting for the bright colors of Spring and the pink cherry blossom trees coming in the near future. And maybe I was also inspired by the confetti and festive atmosphere of Festivale. ^_^ Though I do like this path, I’d still like to try making a new path eventually — maybe once I catch up to present time and don’t have to worry about my time-travel catch-up process anymore. I really loved the confetti! Ooh, this famous hair accessory appeared at GracieGrace! Haha, it’s always fun seeing how neighbors react when you give them foreign perfect fruit! The first rain of 2014 in Citalune! I’m sure it won’t be too long before I’m sick of the rain like I was last year, but for now I’m enjoying it and love seeing everyone’s umbrellas again! And some of my neighbors’ umbrellas I hadn’t seen before, since they moved in during the winter months. Wow, Alice remembering a past town! And this wasn’t the town I got her from, so she must’ve lived in multiple towns before Citalune. I decided to use the princess furniture Megan gave me in a new bedroom for Violet! 🙂 It might seem kinda similar to Estel’s, since they both have the cloud flooring and a similar style, but I think there are some key differences. Estel’s room is supposed to be a sort of tribute to nighttime with the aurora screens, lunar horizon wallpaper, full moon vanity, and other similar touches. Violet’s room has rainbow screens instead, and a more playful feel with the toys and such. I also wanted it to feel somewhat whimsical/magical, which is a loose theme I want to continue throughout her house, like the magician’s workroom, the fairy feast room, the ~enchanted midnight garden~ in the back room, and so on. One day I scrolled through my PWP list and I noticed this for the first time! 😮 I wonder how long I’ve had it unlocked, I don’t remember ever getting any notice from Katrina or anything. I built it right away, of course, and now my Main Street is complete! There was another meteor shower in my town! This spot above the bridge is good for watching sky-events, I’ve noticed. More pics of the shooting stars. Posted on May 5, 2014 by Amy •	This entry was posted in AC:NL, Citalune and tagged Animal Crossing. Bookmark the permalink. Thanks! 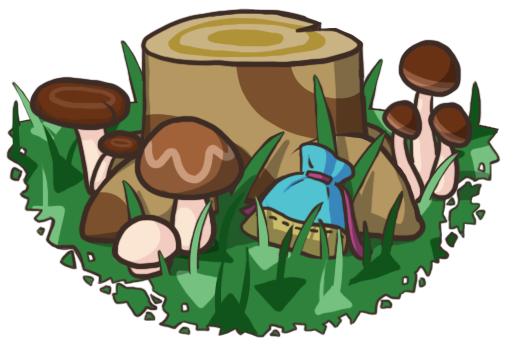 By the way, I am going to make a nature themed town, and I have been thinking about making one of my characters a “fairy” for a long time. 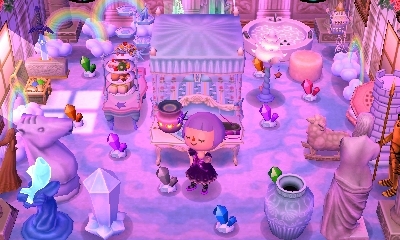 Would you mind if I took inspiration from Violet’s house for my fairy character. Aw, that sounds like a great theme and idea! Sure, I wouldn’t mind! ^-^ In general, a mix of lotus lamps, plants mushroom furniture, weeding day/flower furniture, etc. would probably be good for that! Wow! 5 rainbow feathers!? I searched and didn’t even get one! Lol. 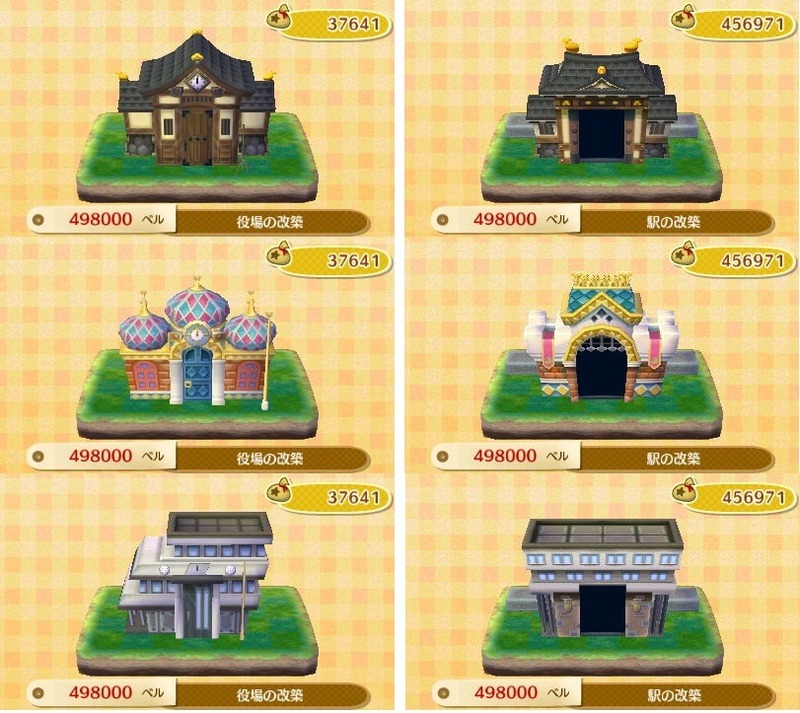 That plaza pattern looks great 🙂 ooh, I want that fortune tellers shop. Apparently you have to visit the fortune place 20 times for you to build that. Aww.. meteors are so pretty. Btw, I get what you mean about house layout. I’m currently trying to kick out a pig in my town. Thanks! Yeah, I didn’t keep track of my visits to her tent, but I was starting to feel like it was about time that I should unlock her shop…but I don’t remember getting a notice from Katrina, so it was a pleasant surprise to see the option in my PWP list! Oooh, Violet’s bedroom looks nice! I love this interesting and unique new character you’ve turned Violet into. Now I feel like I know her much better, and whereas before I kind of saw her and Fern as equivalents or similar characters, now I can vividly recall each of Violet’s wacky and whimsical rooms, her magical side and her cute and almost secretive garden entrance. That’s weird, that you unlocked Katrina’s shop without her telling you o.o My Katrina made me stop on my way out her tent to tell me about it. I haven’t built it yet though so I can see her beautiful tent a few more times 😛 I also kind of wish her shopfront was more like the one in City Folk – I think it had nice vines running along it? Yeah, the confetti, feathers, outfits and all were a lot of fun! 😀 I ended up spending several irl days on the in-game date of Festivale since I enjoyed it so much, so that probably explains why I got that many rainbow feathers 😛 It might be one of my favorite events so far ^_^ Ooh, and I didn’t notice that about Julian’s headdress! I wonder if there are any other animals whose headdresses required an adjustment like that. Hahah I agree, they do seem very talented and dedicated to their pursuits! 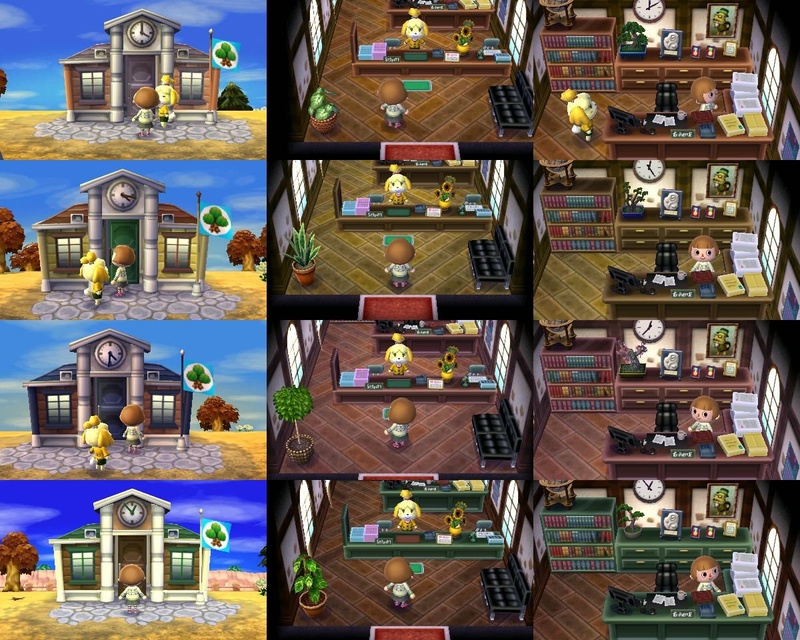 Though memorizing dictionary definitions and doing calligraphy on tissue paper seems like tedious work 😛 I find it interesting in that I don’t remember normal characters saying things like this in past games, so it seems to me to be a sort of personality change/update, similar to how (I’ve seen others say) that the cranky villagers are less cranky now, and the snooty characters are less snooty than they used to be. It’s almost like everyone’s gotten older now, from Tom Nook and Katie to all the villagers. Aww yay, I’m glad you like the change! 🙂 I like that I get to express the more whimsical aspects of my tastes in her house now, since I already get to express elegance/fanciness in the two castles, and will get to show a cozy cottage-y feel in Fern’s house. I didn’t have a whole lot of ideas for Violet’s house before, but now I feel like there are a bunch of different options with the new direction! Awww your town is honestly so gorgeous, I love the “new” colorful mosaic paths, and covering up the rock tile around the plaza tree, mind if I do that too? It looks so gorgeous! You’re really making me quite jealous, Amy. My town is not nearly as developed as I’d like it to be, hahaha. So the tree grows according to the town development, I suppose? Yours looks huge!! I can’t really do anything to my town right now, my neighbors will not request ANYTHING, do you think it’s a glitch of some sort? I wish I had started my town in March, the festival is gorgeous and I love the confetti too! Mind if I ask what a fiery sunset is? It looked amazing with the lighthouse!!! Yay! Congratulations on completing your main street!! And you also got pretty shots of shooting stars!! Thanks Jemma! 🙂 And nope, I don’t mind at all; it’s actually a fairly common thing in general to cover up the town tree plaza with patterns. Some people have little river/water patterns running around their tree, lots of people do flowery patterns like I did, and some just tile their plazas with something other than the regular cobblestone. The tree grows according to how much you’ve played, like how many hours and how many days you’ve been playing. The fiery sunset is what I call the special sunset that happens every now and then, which is only special because of its rarity and because of how the colors of the sunset are different than usual. Usually the sunset is pinkish purplish, but during a special sunset, it’s bright orange and reddish instead 🙂 There’s also a special sunrise (~5 AM). Usually the sunrise is just a gradual lightening from dark blue to medium blue, but during a special sunrise the sky is this really pretty purple! Oh wow, this was so informative, thank you! I didn’t mean to compare towns too much, but it’s hard not to think you’re not being productive enough when you see really pretty towns, heheh. Well, so far they haven’t requested anything but I’ll see if that trick helps me out, thank you so much!! Special sunsets and sunrises must be beautiful, I can’t wait to experience one on my own!! hey! I checked out your wish list, and I can offer you the mama polar bear, medicine chest, paper wall lamp, and queen! I really want the whirlpool bath, mermaid lamp, mermaid clock, lovely phone, and the chaise lounge would be great! am I asking for too much? great! are you available right now to wifi? Awww Melba is finally leaving? She is so cute! I’m glad she will still be on your other town though so you can visit her! What neighbor are you going to replace her with? 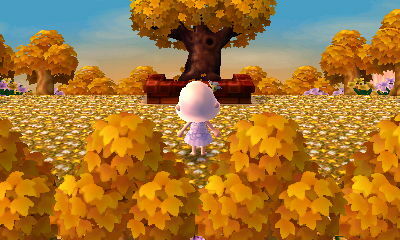 I really like the new spring pattern around the town tree! It’s so pretty! Congrats on getting the fortune teller shop open 😀 I’ll have to keep an eye out for that in my town once I get my 3ds back. I’m going to open gates, do you want me to come to your town or do you want to come to mine? I got New Leaf! Whooo! Since I probably won’t have a whole lot of gameplay time I don’t screw up my first town. I have also not played City Folk because I don’t have a Wii. Basically I’d like to be able to lay down a path ASAP. Are there any other tips you might have that people would normally just figure out by screwing up their town? Wow, hey Kiya, long time no see! It’s great to hear from you again, and with such exciting news! 😀 Congratulations on getting New Leaf!! Hopefully you can get your own 3DS eventually over time 🙂 But I hope you enjoy playing it, and good luck with it! – Choosing a map/town: Here are all the river layouts! Browsing those could give you an idea of what you might like, or dislike. 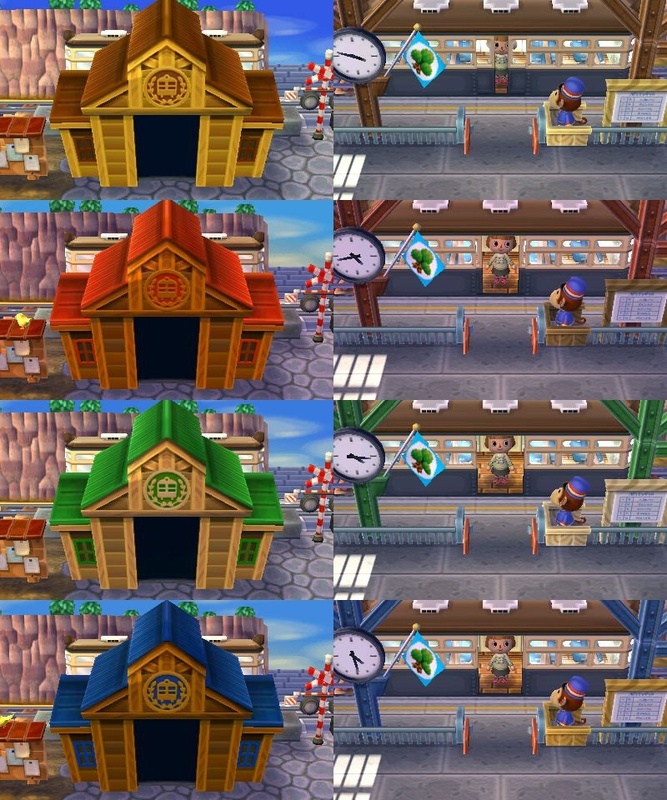 Other things to consider as well are the building placements (of the town tree, town hall, Re-Tail), the town fruit (only your town fruit can grow as “perfect” fruit trees), the default train station colors and town hall colors (unless you plan on remodeling those later), the number of ponds you might want, and the grass shape (same options as previous games). However, these things don’t have to be considered if you don’t want them to be! 🙂 Just tips in case you wanted to reset for a certain town. – Be careful building your mayor’s house, and choose carefully! It can’t be moved later. 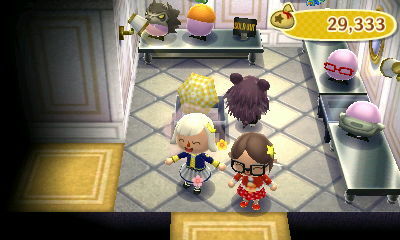 The place where you stand when you talk with Nook is the space that will be in front of the doorway, and the house is a 5×3 rectangle. – You mentioned wanting to make a path, so I recommend talking to Sable every day until you unlock the QR machine, which will allow you to scan awesome QR code paths! A good collection of them can be found here, but you can also always make your own too! And thanks so much! 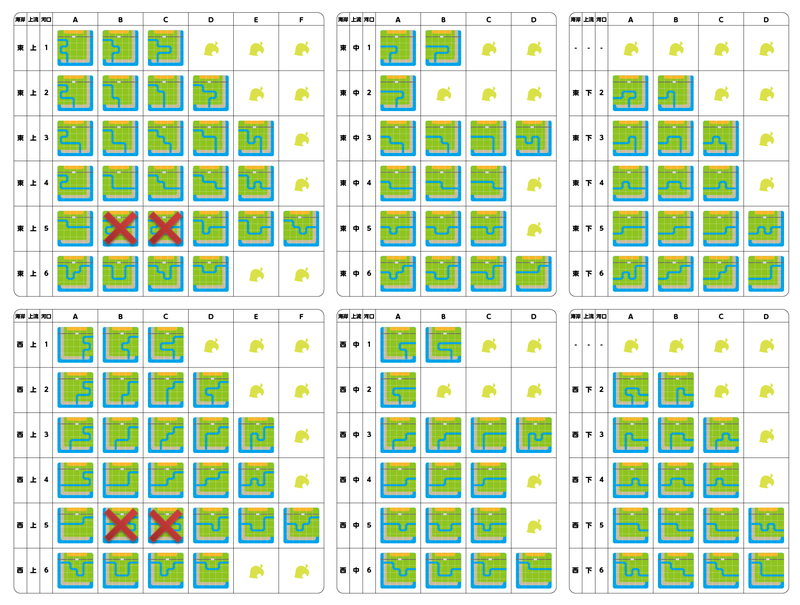 I’ll probably lay down blank patterns where I want paths for the time being so I don’t screw up any other grass until I get the QR machine. I don’t think I could do a blog though since I don’t have the 3ds at all times. Maybe when I get my own though! That’s a good idea! I totally forgot about grasswear as a tip, I’m so used to it now. Oh no, I’m sorry to hear about your plot resetting woes! >_< Of course, I can relate…might have to do some plot resetting myself soon, ugh. Just keep trying, you can do it! And I see you've done a post on it, so I'll go reply to that. Wow, really? :O Thanks so much! Like the birthday table, I could simply dupe those and give them right back. I wonder if I have anything new I could give you…recently I did some Club Tortimer island hopping looking for a pink wetsuit, and I came across a beach chair, a ukulele, and a sea globe; maybe they could be used in your summer castle if you don’t already have them? 🙂 And sure, I’d love to WiFi again soon! What time do you think would be good? Today, or another day, and the time? Okay! 🙂 Btw if you end up coming over to Citalune at some point, just make sure not to talk to Melba, she’s packed up at the moment and I’d like to move her to my other town. Okay, they’ve been successfully duped! Want to come over to my town and pick them up, or me go to yours and drop them off? If you want to come over to my town real quick, I’ll open the gates-I’ve almost got all my dreamies moved in! Only 2 more to go! Do you have the qr code for the snow covered fairy tale bridge path?